Mother’s Day is coming up so quickly! 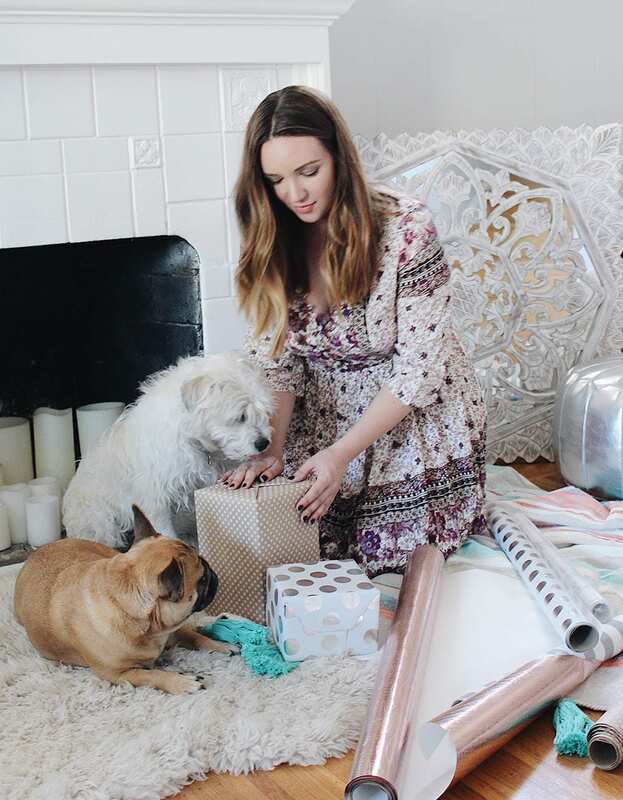 I’m one of those people who have to find the perfect gift via my Mother’s Day Gift Guide! I’m going to find something amazing for my mom this year (card and flowers of course) but it’s always great to find something a bit out of the box and unique. And it doesn’t have to stop at your own mom—let’s celebrate all of the other moms in our lives! Step moms, new moms, sisters who are moms, dog moms (Penny and Lola will need to pass this link off to Matt, ahem…). Take this upcoming Mother’s Day to celebrate the strong and amazing women who have made an impact on your life. 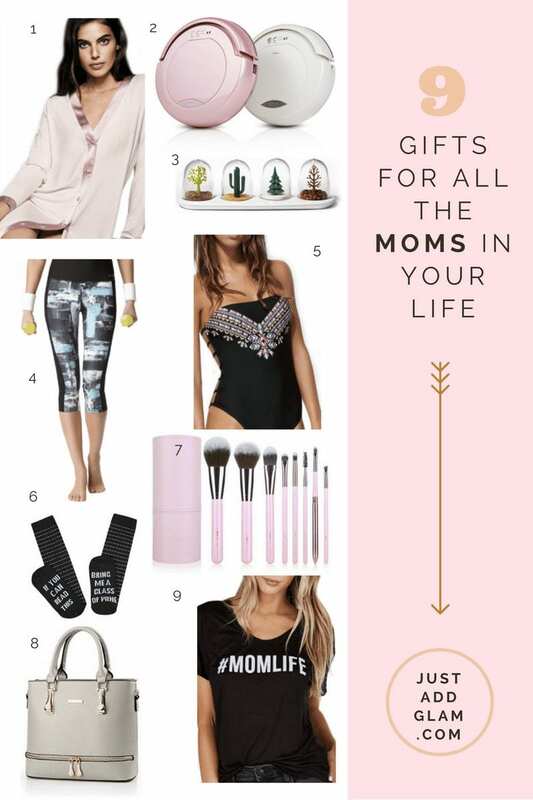 While doing some shopping research this year, I was inspired by the PayPal Mother’s Day Global Gift Guide for some cute and unique Mothers Day gifts, but also the awesome giveaway they have going on! All of these are curated around the world and of course offer the peace of mind of shopping abroad. Any purchase from their gift guide up to May 14th will be automatically entered for a chance to win $1,000 for you and your mom (each)! I’ve curated my own selection of my favorite unique Mothers Day gifts, check out some of my favorites below for all of the moms in your life to celebrate this year! BUTTONED NIGHTDRESS: What women doesn’t love gorgeous pajamas to relax in? Moms have crazy busy schedules, so a gift that promotes relaxation is at the top of my list! ROBOTIC VACUUM: Mom works hard enough, so this robotic vacuum is perfect to remove a home chore off the list. No matter who takes care of the vacuuming, this little guy does the dirty work while you’re out at brunch! I personally love the pearl white color and think it’s brilliant to make it in a neutral and décor-matching color! SEASONING SHAKERS: My step mom collects salt and pepper shakers and I thought this set was just too cute! These seasoning shakers look like little snow globes and are a total conversation starter to have out on the table. The little cactus is my favorite! FITNESS LEGGINGS: For the mom who loves spin class and hiking, grab a pair of these graphic print leggings for all of her favorite active activities. And they are just as cute for running errands or running on the treadmill! SWIMSUIT: Is mom traveling soon? It feels like its summer already with this weather so let’s celebrate the season! The one-piece swimsuits trending right now are so beautiful. And this one has just enough of detail on the siding to make it extra special. FUNNY SOCKS: Sometimes I love giving gifts because I think they are hilarious first and foremost, and this is one of them! Might I suggest pairing these hilarious socks with a light and fruity Sauvignon Blanc or a crisp Rosé? MAKEUP BRUSHES: I’ve personally given a lot of makeup brush gifts over the years because they are a great way to upgrade your morning routine. Women may rush through their morning routine and not think twice about their blush brush missing half the bristles. Ahem, this was me 4 years ago! A new set of brushes with travel case upgrades mom’s morning routine and is perfect for on the go. TOTE BAG: This particular tote jumped out at me because it comes in eight different colors and has a fun, vintage train case look to it. Pick mom’s favorite color and give her a surprise with this cute little bag! #MOMLIFE: The perfect shirt for all the instagram-loving mamas out there! And there you have it, my picks for Mother’s Day! Who are all of the moms you are celebrating this year and what are your plans to celebrate? I’d love to hear! I hope you loved these unique Mothers Day Gifts! Those are such awesome ideas! I ADORE the #momlife shirt. That is the cutest! I love those makeup brushes! They are so cute, and I love pink! These are good suggestions! A new pair of cool socks or some makeup brushes could make someone very happy! Those funny socks are right up my alley. I think you can never have to many socks, and these socks have personality! These are excellent ideas! I want it all! I think the robot vacuum is a great idea! My mom wouldn’t expect it, making it even better! I just enjoy a day where I can choose what we all do. Hiking or something simple. I don’t need any big gifts but I would love some fun socks… especially since my girls keep taking mine. I love the #momlife shirt. I’ve been seeing a lot of items with that hashtag and I would love to have some. Those make up brushes may be nice to have too! These are lovely ideas! That swimsuit is really nice! Moms deserve to be spoiled and these gifts are perfect for making them feel that way. It’s nice to give them something useful. I’m sure moms will love that robot vacuum cleaner since they can use it without hassle and it helps clean the house! These are some great ideas for Mother’s Day gifts! I love the pink wrapping paper in the picture! So many great gift suggestions for Mother’s Day! I can’t get enough of those cute pups!! LOVE it all!! Thanks for sharing with us!! such great ideas for moms! Love your gift ideas! My mom loves her robotic vacuum! So many great picks! Literally something for everyone! This is an awesome gift guide! Thank you for sharing. the gifts are fab!! but the wrapping paper!! These are such cute ideas! I love that #momlife tee! I love that tee! Such a great gift guide and adorable photos! OMG, I totally adore that pink vacuum! LOL. Cleans and is pink? Sign this girl up! 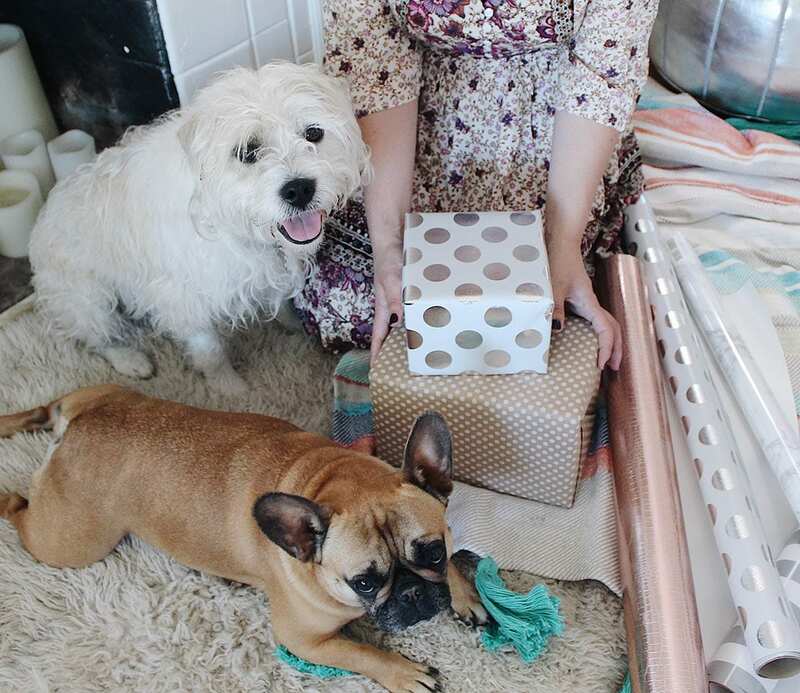 Also, such cute puppehs and wrapping paper!! So many great gift ideas, and those socks are the cutest! I hope you get spoiled by those two adorable fur babies this year! This is a very helpful gift guide!!! Great gift ideas! I love that makeup brush set! I love these gift ideas! Your dogs ate so cute! I totally need that mom life shirt!! Definitely my favorite hashtag! 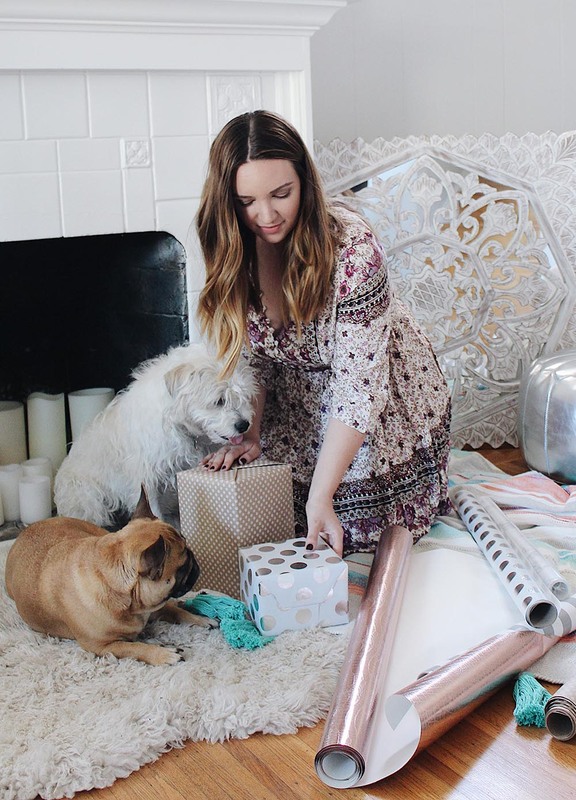 Love these gift ideas lady! Those socks are my favorite! I want them for myself! I think the puppies should be mother’s day gifts! Lol but love the gift choices! I love these ideas! I need to put that bag on my own wishlist – it’s so adorable! Such great ideas! That brush set is so cute and a great price! I need those socks in my life! the loveliest moms Day gift guide, J!